Have you been doing research on Suzhou Topconn Precision Electronics Co Ltd located in China sells USB Charge? 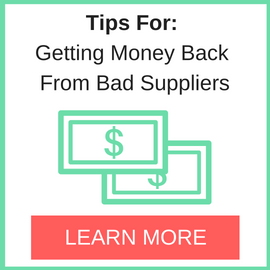 If so, read on below to read one buyers experience when trying to buy USB Charge. This was our 3rd Order with the supplier. There were few issues with previous orders and we were committed that extra warranty products will be provided with this. We initially placed an order of 4000 USB Cables that was later increased to 16000 Cables (only 14000 cables were actually supplied) and the last order was around 10000 cables + extra cables 800 as per the warranty arrangement. However, the supplier took 50% money and is not contactable from past 2 months. None of the mails and Wechat messages are getting replied. 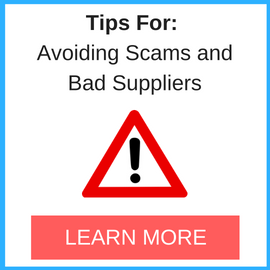 Never pay a large upfront or advance payment. Try to keep it under under 20% to minimize risk. Always visit the company even if you meet them in professional trade shows. Always insist on third party inspection. Need More Info on Suzhou Topconn Precision Electronics Co Ltd? 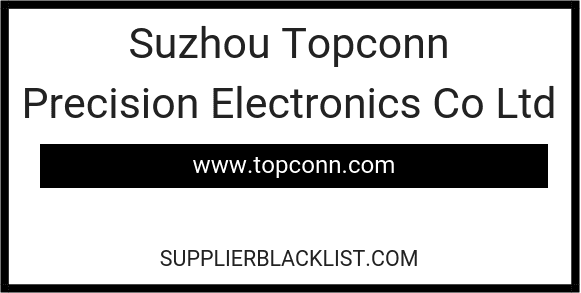 If you need more information, you can click the below links to search for more submissions about Suzhou Topconn Precision Electronics Co Ltd on Supplier Blacklist as well as go to the search results page on Google for more reviews online about this company. Perform a Supplier Blacklist search for more reviews on Suzhou Topconn Precision Electronics Co Ltd.
Search Google for Suzhou Topconn Precision Electronics Co Ltd Reviews.